Home Buzz 3 New Clips For The Game Of Thrones Fanatic In You…Epicness..!! 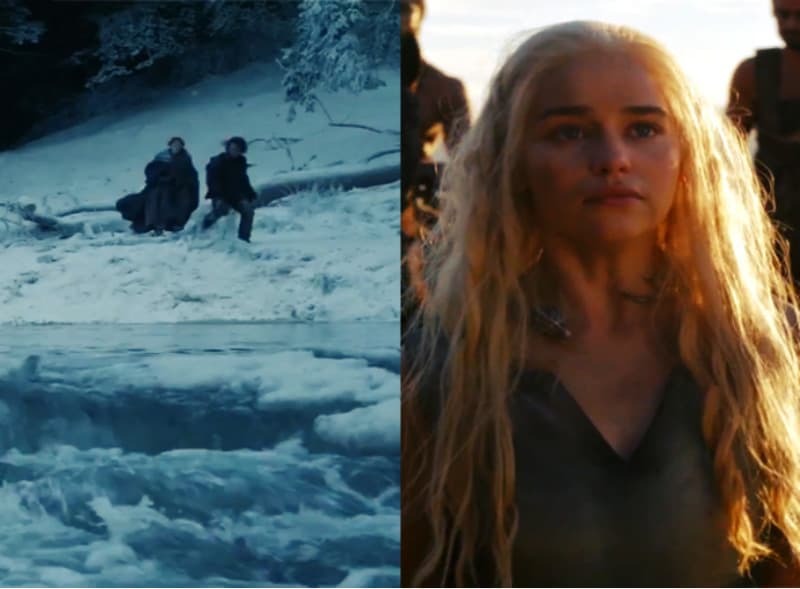 3 New Clips For The Game Of Thrones Fanatic In You…Epicness..!! A lot of the recent clues we’ve had about Daenerys’ fate at the hands of the Dothraki gang she met at the end of S5, the leaked page of script on Instagram; the first official trailer point towards her being an endangered captive. But the interesting thing about this clip, which shows her being led into the Dothraki city Vaes Dothrak in the season’s third episode, is that it looks as though she may have some allies after all. Not only is Vaes Dothrak a relatively peaceful trading city, but it’s also the residence of other former Khaleesis. Hence the Dothraki who says “Welcome home, Khaleesi” at the end. Not much, except that Theon and Sansa obviously weren’t injured when they jumped from the walls of Winterfell to escape the Boltons at the end of Season 5. In this clip it sounds as though they’re being chased, but from the looks of it — despite the distant sound of dogs barking — the enemy isn’t too close behind. The river they encounter at the end of the clip could prove problematic, though. This one’s a bit more interesting, mainly because it gives insight into how Cersei and Jamie’s ever-turbulent relationship might look in the coming season. From the looks of it, Myrcella’s death may bring them closer together. Those were those folks…We’d love to hear what you had for them..!! These cute kids re-enacting the Christmas story will melt your heart!